Becoming an overnight success in music isn’t for everyone. Here's a post from Brian Thompson over at MTT. He raises some very good points about the downside of becoming an overnight success. I posted a comment on his original article, but I'll reiterate some of my points here. I've been in this business a long time. I've seen artist come and go. Sometimes they burn out, maybe they want something more or they simply want a laid back lifestyle. Starting a family and creating a "normal" life is probably the biggest reason for voluntarily leaving the music business. More often than not, however, the biggest reason an artist or band is no longer in the business is because they received too much too soon. They weren't prepared for the potential consequences of being an overnight success. If you're in the music business, no matter what level, you want to make a living creating art. We all do. There are, however, some pitfalls and I think Brian has outlined a few below that most new artist should be aware of. When one of my clients says "My dream is to get signed and become famous!" I always reply with "Be careful of what you wish for. It just might come true." 1. You won’t be mentally prepared to deal with all of the fame, fortune, and international attention. 2. You won’t be well-rehearsed or experienced enough and your performance won’t be ready for overnight global attention. 3. Critics and fans will eat you alive for every little misstep you do, crushing your soul and spirit in the process. 4. You will have a very short career. Overnight successes do not create life-long fans. This is a post I found on Echoes, Disc Makers blog, about how to add some punch to your live shows. As a mix engineer I think about this topic quite a bit. How do you keep things fresh while playing the same material over and over? For those of you who aren't professional mixers we will listen to the same song from 5 - 12 hours in a row to set the proper EQ and levels that will make the song great. That's our job and we live for it. As a touring musician, however, you play the same set of songs for months at a time. How do you stay interested in the material and make sure your audience doesn't think that you're bored of playing it? Well, Cheryl Engelhardt explains a few tips below so that you and your audience stay interested. Enjoy! Make a lasting impression and your fans will return in droves. There are lots of reasons to want to freshen up your live show. Maybe you hit a point where you are performing songs off your new-but-not-that-new record and feel like the show is getting stagnant – not just for you but for your fans. Or maybe you feel like you haven’t found the sweet spot of what your live show should be. Perhaps you want to experiment a bit but don’t know how. The good news is that there are some easy ways to shift your performance, from “ever-so-slightly” to “total overhaul,” and you can gauge the results immediately – i.e. people start coming out to hear your live music, stay the whole set, buy more CDs, have great comments afterwards, YOU feel great, you feel like you hit a stride, etc. "...Branching out into the amazing history of delicious hits is a fun musical expedition." I can’t tell you how bored I get when I do solo tours. Me and my piano, every night. On the other hand, I LOVE playing with my band (electric guitar, drums, bass), but I can sometimes overdo putting on the same show over and over. So, recently, I switched it up and did a show at Rockwood Music Hall in New York and had my guitarist play acoustic guitar and brought in Kristine Kruta, a cello player who played on my record. I’m talking before, during, and after the show. While promoting on Facebook, Twitter, fan emails, ask people what songs they want to hear. Ask them what merch they’d like to see at the next show. Have a contest to see who can share the event page the most. Just before you start playing, go up to a fan and ask them to take on passing around your mailing list mid-set. Tell them you’d be grateful and honored and offer a free CD. This doesn’t mean permanently fire your band and hire new people with no reason other than you’re spring cleaning. It means making friends with some other musicians, doing a few gigs with them to see if anything sparks. Maybe these gigs are acoustic, or duets, or something other than your normal schtick. If you always play with the same people, it’s great to see what other musicians can do with your music. You may get ideas to bring back to your original players, and you may also forge a new relationship and want to add them to your regular lineup. Tired of the coffee house scene? The loud bar scene? The background-music restaurant, ski resort, hotel bar scene? Whatever it is you usually play, look into something totally different. Ask a friend to host a rooftop party. Call the booker for a bigger rock club you’ve been wanting to play and ask for an early slot six months from now, or start pounding the pavement to get an opening slot for a band you’d like to tour with. "If you’re always playing loud venues, do a stripped-down show at a coffee shop to showcase your songwriting." You can read the rest of Cheryl's article over at Echoes, Disk Makers blog for up and coming musicians. How to Write Songs That Stick! Below is an excerpt from an e-course I subscribe to by Morgan Cryer. Morgan is a Nashville based songwriter who has had airplay and hits on commercial radio. That said, he is also a songwriting coach amd internet marketer. He's the author of the e-book Strong Song Writing. I don't pay attention to most e-books, but Morgan's seems different. He cares more about providing in-depth guidance than fluffy content. I don't own his book, yet, but I do plan on purchasing it very soon because my next big music endeavor is going to be based around songwriting. So if your main focus in this business is writing songs you're going to want to pay attention to my next few Round Ups. They're going to be all about how to sculpt the best song you can write - every time. In the meantime I hope you enjoy Morgan's view on starting your song strong. One of the most overlooked secrets to writing strong songs is so simple you'll think it's stupid. And yet it's so important that I don't know why songwriting authors and "teachers" have not made more of a big deal of it. Here it is: ALWAYS start your songs strong. But do they? Out of 100 songs I hear at writer's events, 97 of them will have weak first lines (actually weak first and second lines). Just think of how crazy this is. You book a flight, pay a registration fee, make sure you're in the right room for the critique session, and then you patiently wait through all the other writers' stuff. two lines dribble out of the speakers like warm mayonnaise. No (or low) impact. By the time your lyric gets up to speed it's too late. The audience has quietly slipped you into the "just another wanna-be songwriter"
category along with 96 other people. greatly help or hurt your chances of being taken seriously. In my book, Strong Songwriting, I go into great detail about how to "ace"
all these first impressions. You can check that out by clicking here. Your goal is not to make every song's first line into an epic event. Sometimes a song calls for an understated beginning. However, understated is not the same thing as boring or un-engaging. "Your first line should entice, dare, tease, or otherwise promise the listener that if they will listen to the next 3 lines, they will be happy they did." "Make the promise in the first few seconds, then keep the promise with the rest of the song." For Morgan's next tip, he'll talk about the simple differences between boring songs and interesting songs. To be a successful musician you have to network. In today's world of social media it's still a great idea to go out and meet people face-to-face. I love meeting new people online and sharing our common experiences within the business of music. There's never been a greater time than now to mingle with other musicians around the world. But wouldn't it be better to meet in person while having a beer? In the article below, Leena Sowambur over at MTT tells us How to Talk To Strangers. You can't go it alone. You have to network. 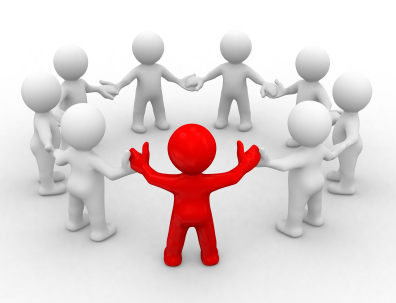 Networking online or in person (eventually it is necessary to do in person) involves talking to complete random strangers. People you don’t know, people who might be untrustworthy, people who might have an agenda, people who might take from you, people who might steal from you, people who might harm you. We don’t like talking to strangers. Strangers are bad. Strangers will hurt you. Strangers have negative associations. Yet we are all strangers to other people. I’m not a shy person. I’m outgoing, chatty, and extroverted. I still don’t like talking to arbitrary unfamiliar, alien people. Why? I was always told not to talk to strangers as a child. As children our parents drum that rule into us, and it’s a good thing. We need to be aware of danger. However, we also need to be aware that the psychological tools that we needed to keep us safe as kids are not always appropriate in the varying situations we find ourselves in as adults. For those of you who's only dream is to get a record deal I highly suggest you read this article. It's from the 90's, but the story is practically the same today. Thanks to the folks over at Negativland.com for sharing it with us. They wrote "This oft-referenced article is from the early '90s, and originally appeared in Maximum Rock 'n' Roll magazine. While some of the information and figures listed here are dated, it is still a useful and informative article. And no, we don't know how to reach Steve Albini." 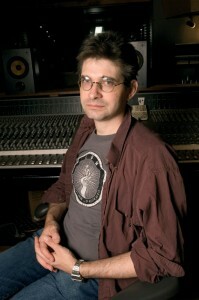 Steve Albini is not happy wdsith record companies. This is a very long and interesting article so I'm going to cut to the chase. A band got a deal and found money being thrown at them and taken from them at an astounding rate with many people taking a cut. In the end, per Albini, "the band members have each earned about 1/3 as much as they would working at a 7-11..."
"The band is now 1/4 of the way through its contract, has made the music industry more than 3 million dollars richer, but is in the hole $14,000 on royalties. The band members have each earned about 1/3 as much as they would working at a 7-11..."
You can read everything that happened in between here, The Problem With Music. Can’t we all get along? “Axl Rose not attending induction.” Really!? I don't understand this. They have it all; world wide recognition, tens of millions sold and at one point, infectious chemistry. Why won't they work together? To much ego too soon? Getting caught up in this business can be sad. So much success so fast typically leads to very talented artists thinking that the only thing that matters is the issue that only affects them. When, in fact, it's only their fans that matter. They are already not going to work together again so why not do one more show? It's about a bigger picture gentlemen. If it wasn't for the people they are going to disappoint they wouldn't be where they are. GN'R. The good ol' days. Fed up with "reunion lies" and looking to avoid awkward situations with ex-bandmates, Axl Rose has decided to not attend the Rock and Roll Hall of Fame induction ceremony on Guns N' Roses this Saturday (Apr. 14), and has asked to have his name withdrawn as a member of the band he co-founded and still fronts today. In an open letter released on GN'R's official website on Wednesday, Rose writes, "I respectfully decline my induction as a member of Guns N' Roses to the Rock And Roll Hall Of Fame. I strongly request that I not be inducted in absentia and please know that no one is authorized nor may anyone be permitted to accept any induction for me or speak on my behalf." In his letter, Rose begins by saying he was honored when the news was announced in December, but that after listening to fans, talking to members of the board of the Hall of Fame and reading "various public comments and jabs from former members" of the band, as well as assorted press coverage, he has decided to "let sleeping dogs lie" and not attend the ceremony. "I certainly don't intend to disappoint anyone, especially the fans, with this decision," he writes. "Since the announcement of the nomination we've actively sought out a solution to what, with all things considered, appears to be a no win, at least for me, 'damned if I do, damned if I don't' scenario all the way around." In recent weeks, members of the original GN'R lineup, which included Rose, Slash, Izzy Stradlin, Duff McKagan and Steven Adler, have addressed a rumored reunion at the Rock Hall induction with ambivalence. Matt Sorum, who replaced Adler as the band's drummer in 1989, told Billboard last month that there were "no real plans" to reunite for a performance, while current keyboardist Dizzy Reed said, "I don't know exactly what's going to go down. It's one of those things I'm sure will all come together and be really cool. I'm just going to go in with a good attitude and a clear head and a grateful heart." Green Day is set to induct Guns N' Roses at the Cleveland ceremony. The current version of Guns N' Roses -- of which Rose is the only original member -- continues its world tour in Moscow on May 11. Here is the full text of Axl Rose's letter and the rest of the article. "This song has more hooks than a tackle box!"